Alexander Yersin (1892) Yersins hytte hvor han havde sit laboratorium. 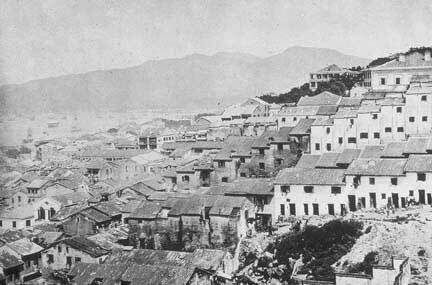 Hong Kong, Tai Ping Shan kvarteret (1890'erne) Yersinia Pestis (Wayson stain). Yersin, Alexandre (1863-1943) was a Swiss-born French bacterilogists who first identified the bacterium Yersinia pestis that causes the plague, a serious infectious disease. 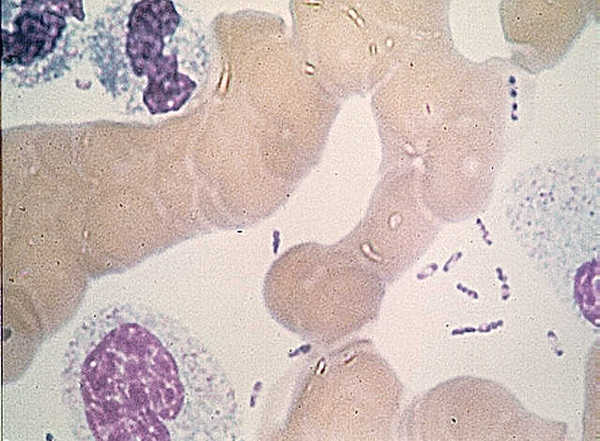 The bacterium is named after Yersin, who first identified it in 1894. Yersin was born in 1863 in Aubonne, Switzerland. He was educated at the Universities of Lausanne, in Switzerland, and Marburg, in Germany, before studying medicine in Paris. He performed research in Paris at the Pasteur Institute, founded in 1888 by Louis Pasteur, who discovered that bacteria spread diseases. Yersin helped create the diphtheria antitoxin, a substance that neutralizes the toxin (poison) produced by the bacteria that cause diphtheria. 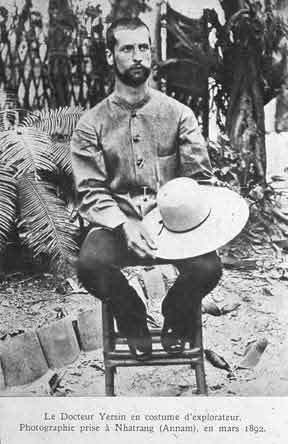 Seeking adventure, Yersin became a doctor for the French colonial service to work in the Asian colonies that were later divided into Cambodia, Laos, and North and South Vietnam. When a plague epidemic broke out in China, the French government instructed Yersin to study it and find a cure. Working from a straw hut in Hong Kong, Yersin soon isolated Yersinia pestis. He showed that the bacteria live in rats and other rodents and that fleas from the rats transmit the disease to people. Yersin returned to France and prepared an antiplague serum at the Pasteur Institute. He then returned to China and inoculated his first human subject, a very ill young Chinese man. Within hours, the patient began to recover. Yersin founded two Pasteur Institutes in China. 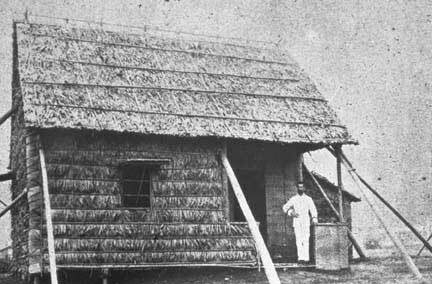 He directed the Pasteur Institute in Nha Trang, in what is now Vietnam, from 1895 until his death in 1943. Visitors pay homage at his grave, and in Hanoi, the capital of Vietnam, the Alexandre Yersin French International School enrolls students from over 30 nations. William Burns: Alexandre Yersin and his adventures in Vietnam, 2003 Mill Hill Essays.